Come Join Us at the Free Spirit Expo in Ossining New York! There is an incredible speaker line up! It’s all about Farm to Table, Sustainability, and so much more! This is an all day Event and come join me for my 90 min workshop and I’ll be offering some short readings just for fun! June 2nd in Ossining New York. Time of the Workshop to be announced! Save the Date! Learning the language of your subconsious mind provides deep insights to your own psyche, well being, and higher self. You'll learn how your dreams are the channel to the God-Source and Divine. You'll learn to recall and remember your dreams, interpret your dreams for important messages and guidance, and deeply appreciate the wisdom your subconscious reveals to you through your dreams. You'll learn how intentional dreaming for others impacts their life and yours in positive ways! You'll never look at dreaming the same way again. Come demonstrate and even show off your amazing psychic abilities! Don't think you have any? Then surprise not only yourself but everyone as well. In this two hour workshop, you'll tap into the part of your brain that easily allows you to remote view (see without eyes) and practice your telepathy. Using Intuitive Heart Exercises and other exercises from Elly Molina's Amazon Bestseller, Children Who Know How to Know, you'll access your own Super Powers and leave with a newly discovered confidence in your own remarkable abilities! Join me on March 24th at 11:0o in the Herald Square Room, third floor of the New Yorker Hotel for the New Life Expo. The target was a photo of a young girl. In Remote Viewing terminology, this participant had a “bullseye”! It was her first experience remote viewing! Come Join Me At The Write Way Cafe! Fearless Woman’s Summit in Nashville, Tn. Here are some fabulous images of Workshop participants who have never remote viewed before! Particpants AMAZED themselves! We all have psychic ability! Come see for yourself at the next upcoming Workshop. Participant saw a speyer Cathedral and garden… 100% bullseye target! Participant’s first remote view! Bullseye! 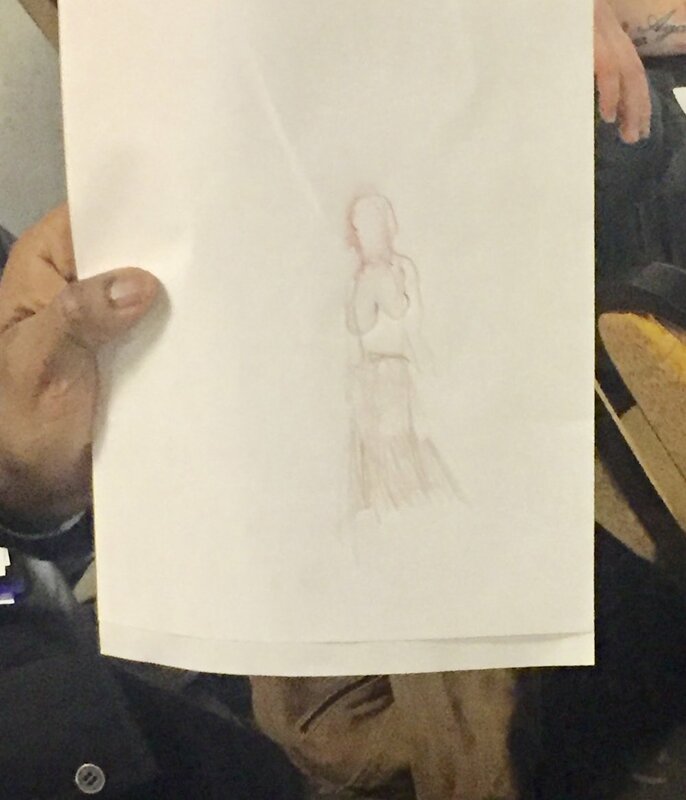 Another participant’s first remote view. Notice the circles …this is a hit! Neither knew what the other had drawn! Telepathic Bullseye! Join me on October 10th, 2018 at 6:30 pm in Venice, California where I will present a two hour workshop: Accessing Higher Consciousness Through Your Super Power Abilities. Using strategies from Elly’s Amazon Best Seller, Children Who Know How to Know, you’ll access your own super power abilities, transcend ordinary consciousness to levels only imagined in sci-fi novels. Seating is Limited so I encourage to get your tickets in advance. I look forward to being with you! 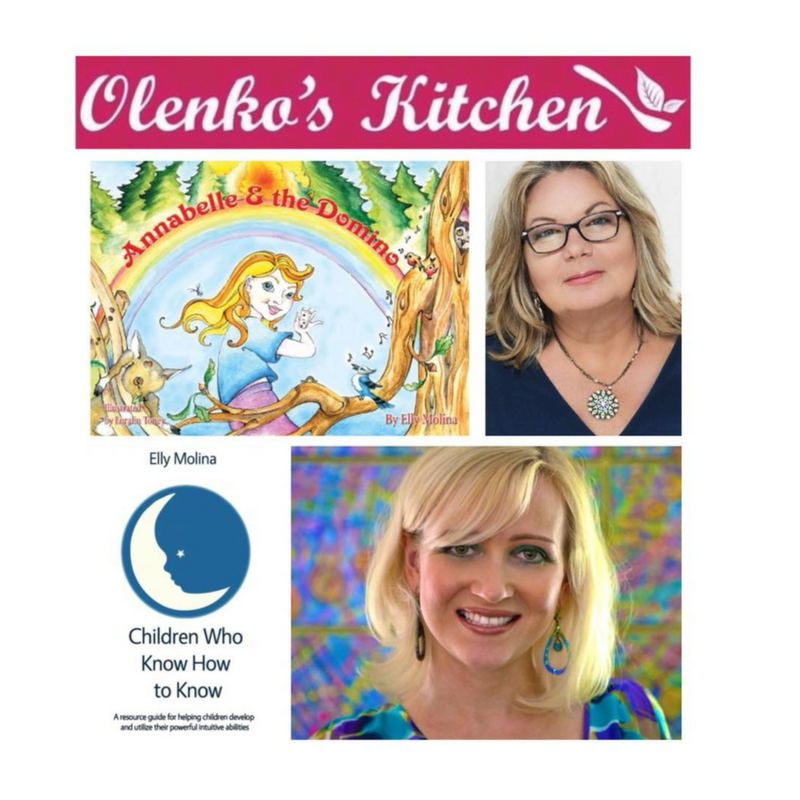 Join me on Sunday, July 29th on Olenko's Kitchen: https://www.facebook.com/olenkoskitchen/ at 9 am pst/ 12 est. See ya on the call! June 27th, Full Moon Private Event, Olympia Washington. Last week I hosted an event for Elly Molina. There were 6 people in attendance. We all left having learned new ways to access our own abilities. Thank you Elly for leading adults in these much needed skills. Ask Elly to speak at your next event. Elly is a leading expert in children’s psychic & intuitive development, as well as an international intuitive, author and educator. Elly has appeared on ABC, CBS, NBC, FOX and their affiliates. She will demonstrate to you and your audience how psychic you are. She is an innovative consultant whose clients rave of adacious results. She works with children of all ages and adults demonstrating how to access, develop and trust your intuition. Elly delivers Keynote Speeches on a variety of topics, ranging from Thought and Language, Mindfulness, Psi Abilities, and Changing Educational Paradigms. Elly's work provides others with audacious results! Interested in innovative, trendsetting, and thought provoking talks for your audience? Contact Elly now at the above link. 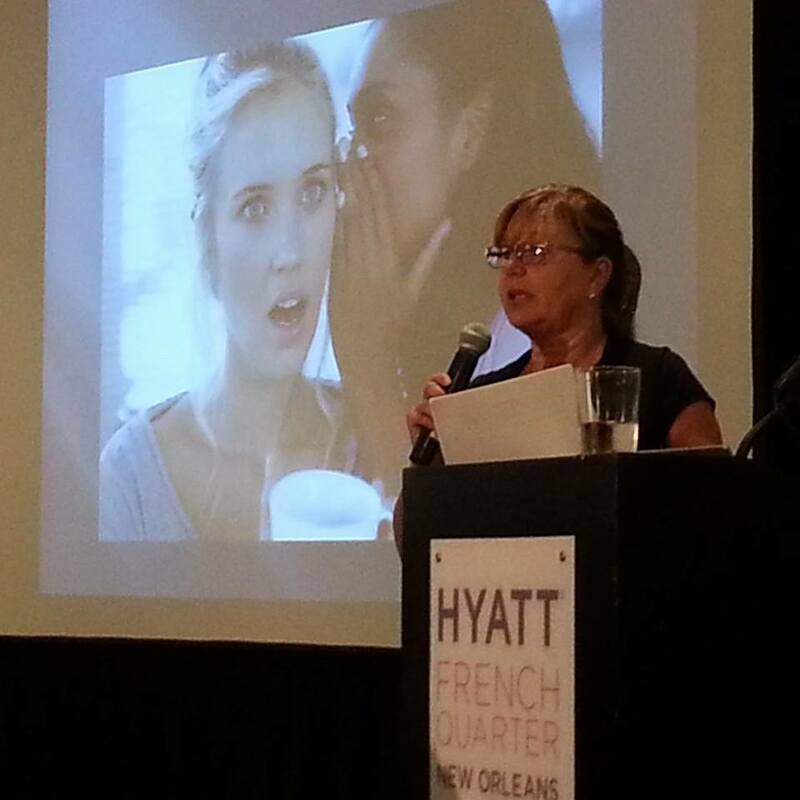 Interested In Arranging a Speaking Event? 1. Develop a deep meditation practice that grants them immediate access to refocusing and represencing themselves in any instance . This is an excellent tool for school, classroom situations and dealing with frustration. 2. Train and develop yourself in differentiating between the "voices" in your head and creating and maintaining lasting self esteem. 3. Intuitive Heart~Mind Connect Practice ( connecting with your Highest Self and all others on the planet) . This practice promotes self awareness and awareness of others. 5. Accessing, trusting and utilizing Intuition in everyday settings ( enhances Self Esteem and Confidence ) . 6. Telepathic and remote viewing activities demonstrating the genius you already are. our experience, love, create, teach, and deal with difficulties. of making a difference. Learn about Intuitive Heart and Mindfulness and how this impacts student behavior and performance. leave participants inspired, motivated, and deeply connected to their love of teaching. Enjoy the podcast with PJ and Aj and myself! Time and address to be announced.